Easy operation, 2 finger trigger, moves up and down in an arc. Comes with metal stand to match your need better. 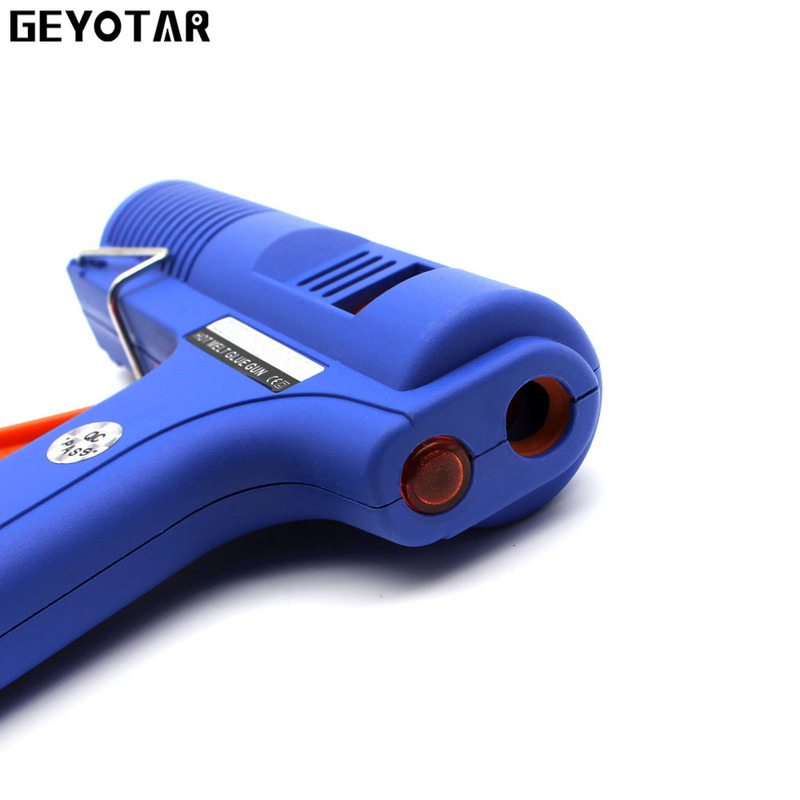 1.The heater component of the product is made of PositiveTemperture Coefficient Electric resistance(PTC).It is heating very fast and automatic of control temperature. 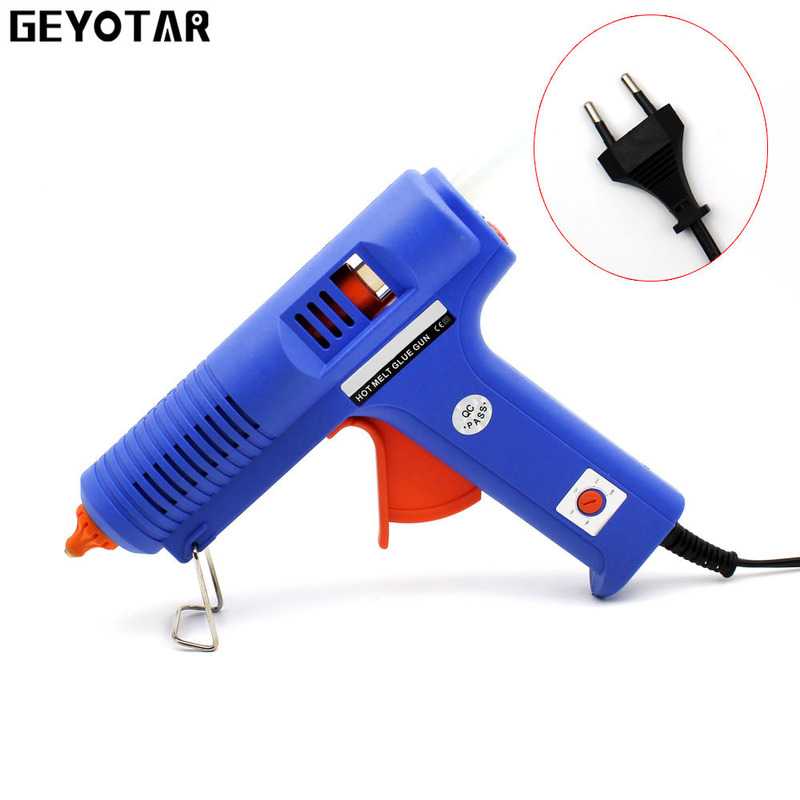 The hot melt glue gun can use normally in 100V to 240V electrical,inside place the fuse,use more safe. 2.The heeater body installment was designed to insulates heat.It is work longer life. 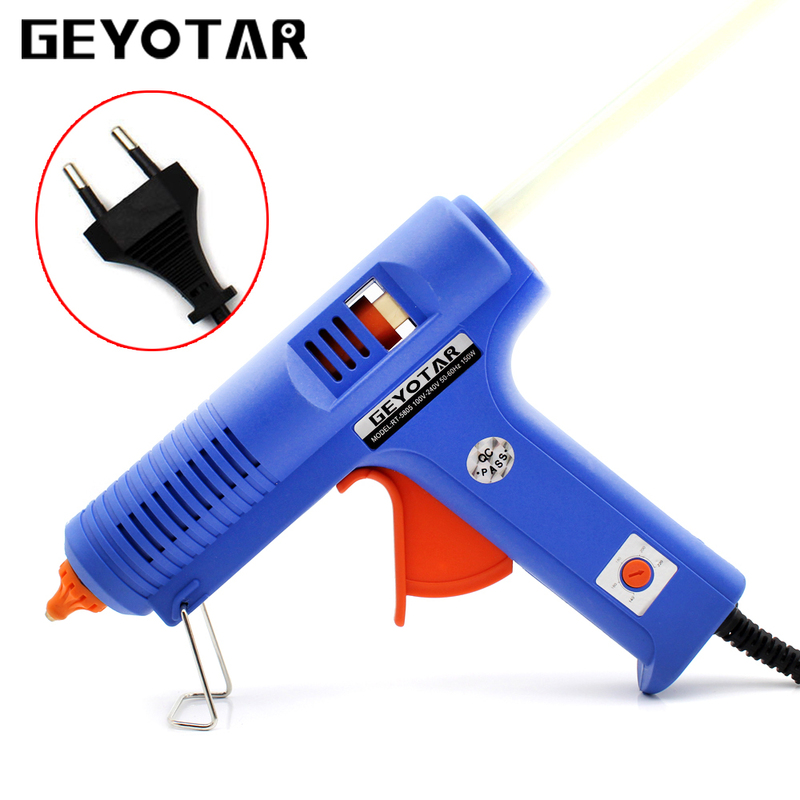 1.The hot melt glue gun is a high temperature product.If the customer used the size of the melt glue that types not agree with,it would cause the melt glue reflux and damaged the glue guns. 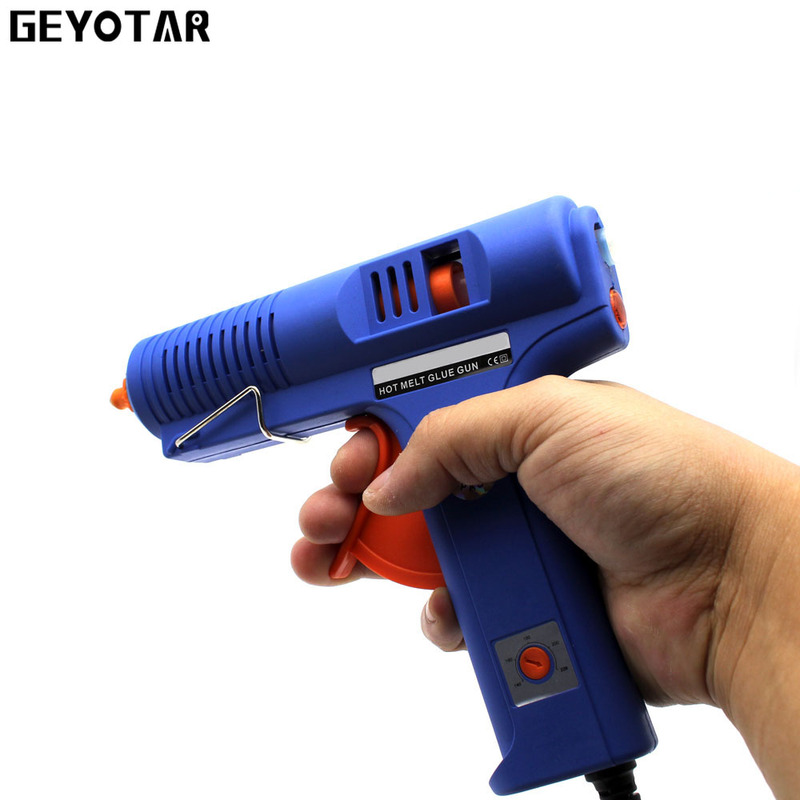 2.Do not touch the nozzle area and melted glue,for they are high temperature when they working.Forbid to use in the situation that easy fuel and explode easily. 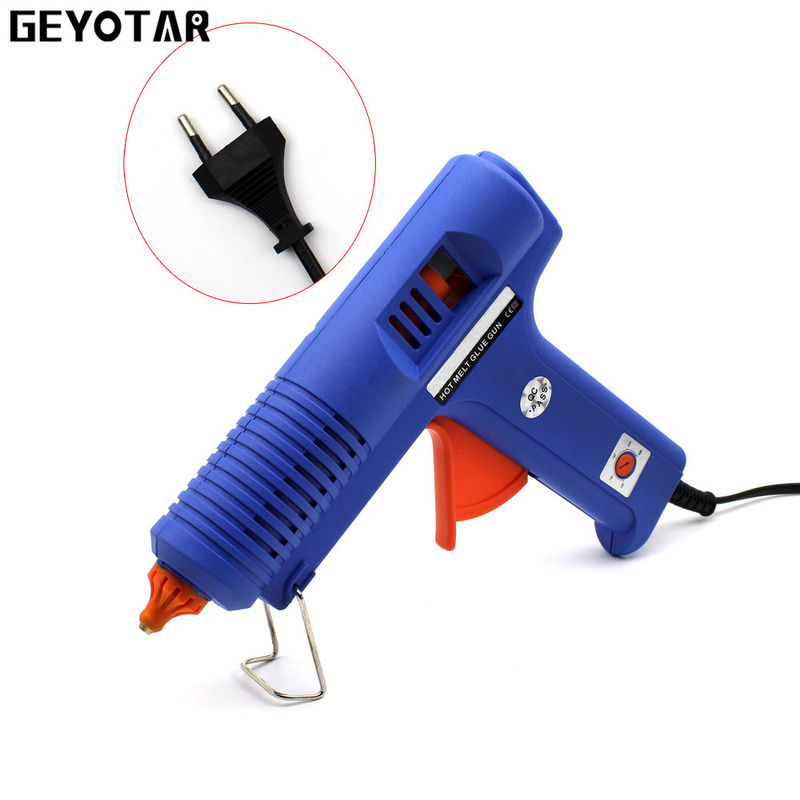 3.While it is working,do not raise it ,and the nozzle can not upward.If the glue gun does not work continuously for 15 minutes,please unplug the eletrical.In order to prevent the melts glue to pour from the glue gun to damage it as all. 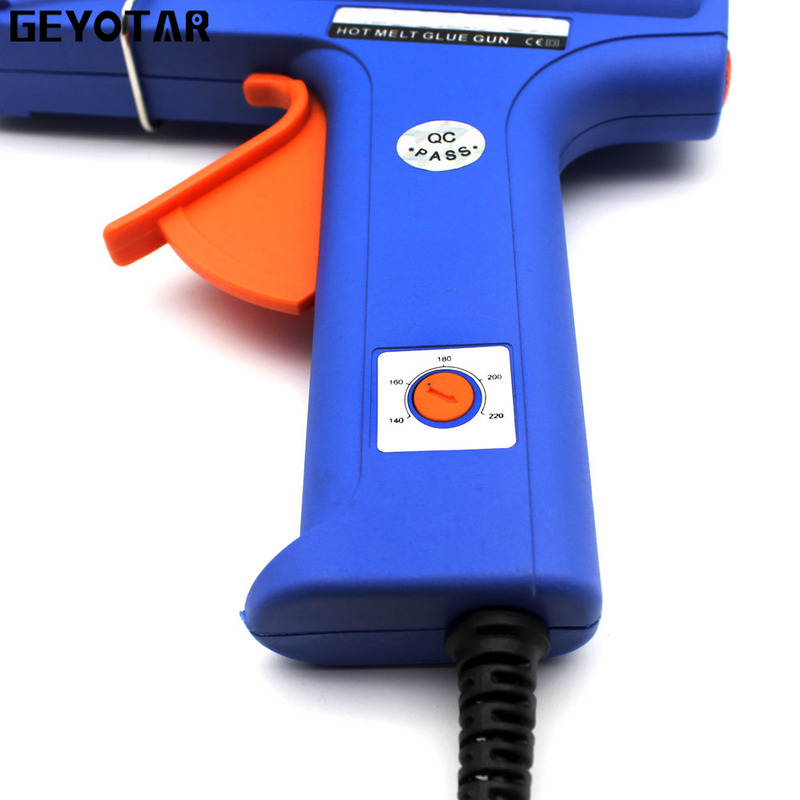 4.The new glue gun while using for the first time .It may emit a little smoke.This is mormal and should cease after a few moments. 5.Should usually keep the slippery piece of the glue gun tail sweep,for the melt glue can send into the gun Tube smoothly ,forbid to pull out the melt glue from the glue gun tail parts. 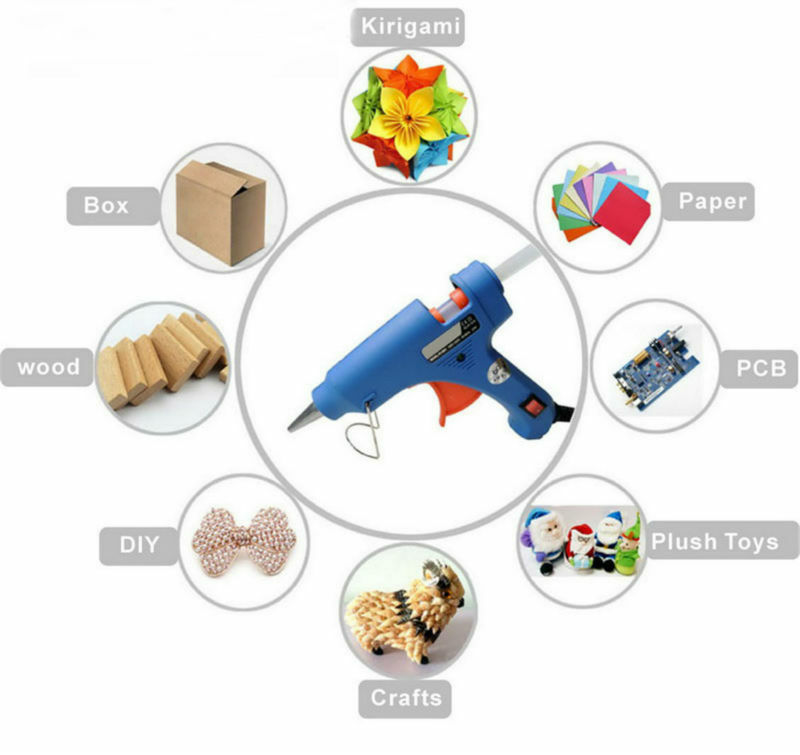 6.The glue gun shoule keep dry in the airiness of place ,out of the reach of children. 7.This tool at not use must place at it of support up. 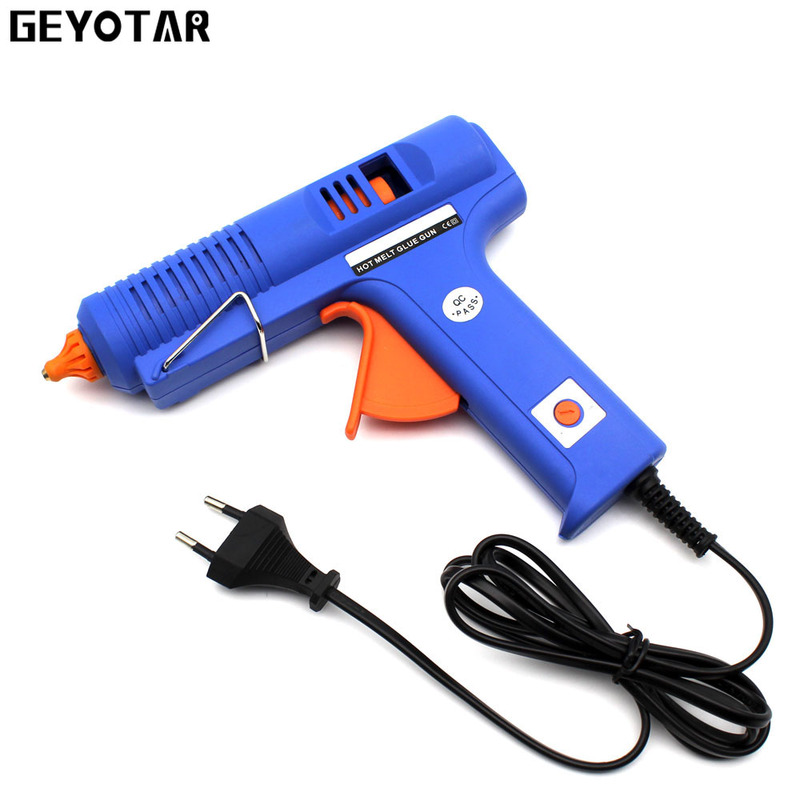 8.Never use the glue gun if the power cable,or any part of the glue gun appears damaged or loose.There are no use serviceable parts in this glue gun .